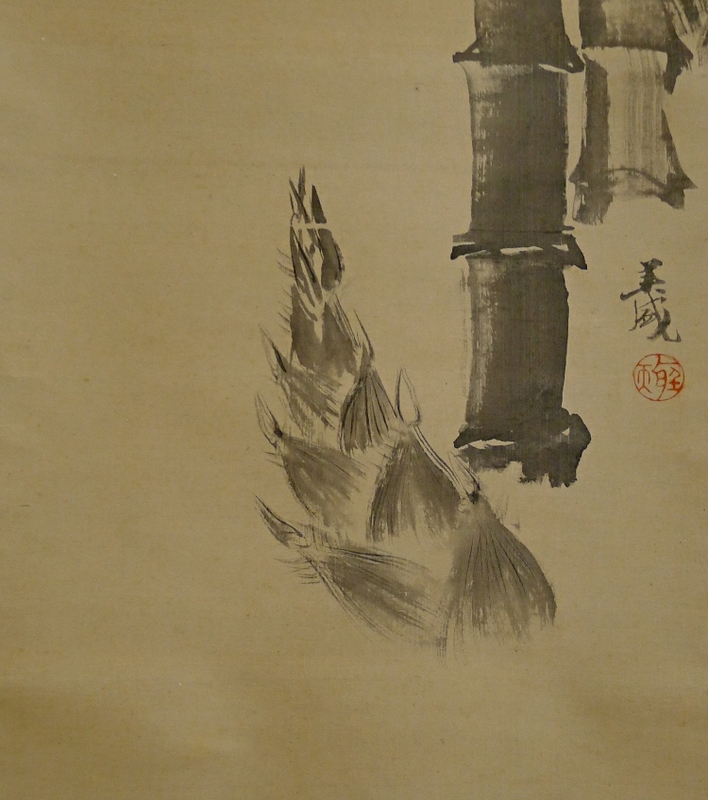 Subject" Bamboo Shoot in Suiboku "
We estimate this scroll was drawn over 30 years ago. There are two stains at the top of the mounting. There are some faint spots and stains on the painting part. 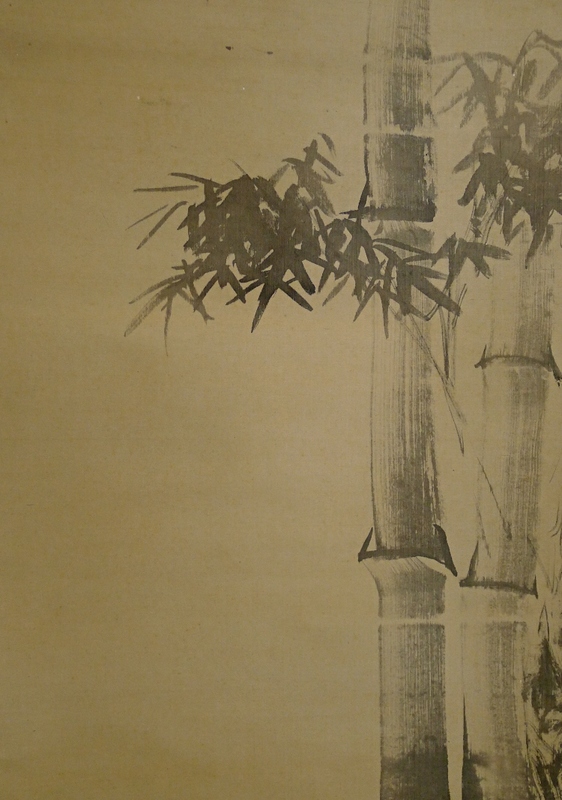 Bamboo tree and sprout are drawn artistically in the Suiboku painting method using only black Sumi ink.